Arrive in Delhi. Your private luxury India Taj Mahal Tour starts here in Delhi. On arrival in Delhi, after crossing immigration and baggage, you will be met by a Mantra Wild representative at the arrivals hall, who will transfer you to your hotel (rooms are available from 12 noon). Delhi is the capital of India, and it`s also the travel hub of northern India. Discover the inner peace of a city rich with culture, architecture and human diversity, deep with history and totally addictive to epicureans. Overnight at The Imperial Hotel, Heritage Room. After breakfast, we depart with our local expert on a guided tour of Old Delhi. Delhi has been the seat of power through multiple civilisations and dynasties through centuries. Yet, the last seat of the Mughal Empire, that exists in the form of Old Delhi today, remains the most fascinating. Colourful, vibrant, noisy and chaotic, Shahjahanabad, as it was known back then, was named after the Mughal Emperor Shah Jahan at the peak of the Mughal supremacy over India. As you walk, you discover hidden gems of the nearly 370 year old city, where religious shrines co-exist with trading houses. Gaze upon traditional Havelis (mansions), explore the maze of streets where once royalty descended and learn the quaint stories of market alleys. 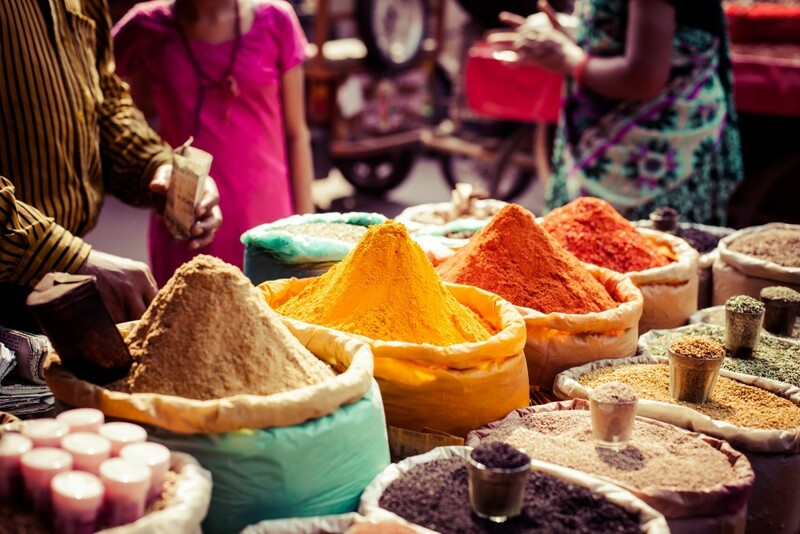 The fragrance of spices can be exhilarating for your senses in the boisterous Spice market, one of Asia’s largest but you can also be dazzled by the glitter of India’s largest jewellery and wedding markets! (Weekly off is Sunday). We go up the 360 year old steps of the majestic Jama Masjid, India’s 2nd largest Mosque and one of the finest examples of mosque architecture in the world. The food lifestyle with its rich and varied heritage that owes its origins both to the original inhabitants and invaders alike is one of the star attractions. In the afternoon, enjoy lunch at a local Indian restaurant. After Lunch proceed on a city tour of New Delhi. Arrive at the Qutab Minar – a Tower of Victory, built in the 12th century by Qutbuddin Aibak. Within its spacious courtyard stands the Iron Pillar, which dates back to the 4th century AD and bears a Sanskrit inscription in the Gupta style. The pillar has puzzled scientists, as its iron has not rusted in all these centuries. Travel through the streets of New Delhi, past the architecture of British India – the imposing President’s House, the North and South Blocks, the government offices and Parliament House. Also see the India Gate. End the day’s tour with a visit to the Tomb of Humayun – this magnificent structure in red sandstone and white marble is one of the finest examples of the garden tomb, and a precursor to the Taj Mahal. Its proportionate spaces, double dome and refined elegance are characteristic of Mughal architecture. The Agra Fort, strategically situated along a bend on the Yamuna River. Built 16th century AD by three generations of Mughal emperors, it is a superb synthesis of stern military fortifications with delicate interior details. The Mughal Emperor Shah Jahan was imprisoned by his son in the Fort. Here we will see the art and crafting of the white marble that has made the area so famous, and the Halls of Public and Private Audience. In the afternoon you will enjoy Lunch at a local restaurant for which you will pay directly. Later this afternoon, we enjoy a visit to the incomparable Taj Mahal (closed on Fridays). 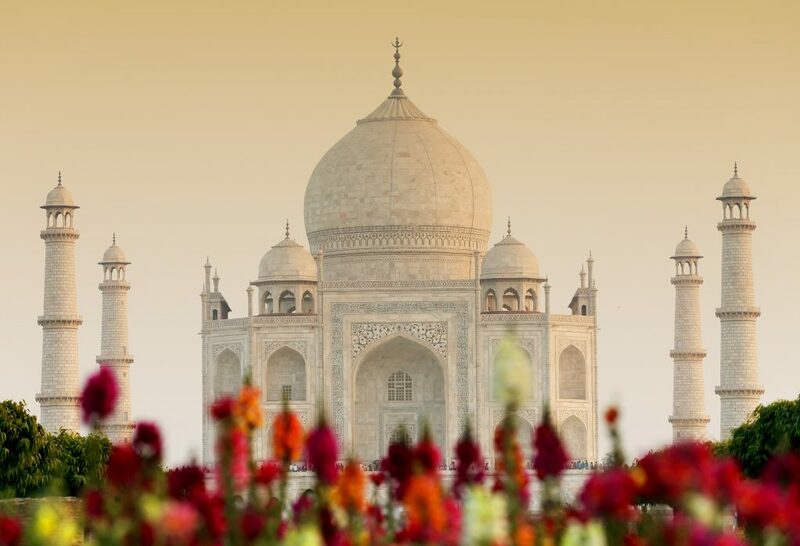 Experience the sublimity of the Taj Mahal – a varying kaleidoscope of solitude, colour and mood. A tribute from a great emperor to the memory of his beloved wife, it was 22 years in the making (1631-1653) and is a cerebral experience that defies description. Widely regarded as the earthly replica of paradise, the Taj Mahal is likened to “a vision, a dream, a poem and a wonder”. This evening, you will be transferred to the railway station to board your train, Shatabdi Express, departing Agra at 1740 hours and arriving Jaipur at 2120 hours. The first planned city of India – Jaipur – renowned for its glorious architecture. Maharaja Sawai Jai Singh II – the ruler of Amber along with his chief architect, Vidhyadhar Bhattacharya from Bengal, founded Jaipur in 1727. On arrival in Jaipur, you will be met and transferred to the Rambagh Palace. After an early breakfast you are driven to Amber, the ancient capital that preceded Jaipur. Originally built in the 11th century AD and expanded in size and scope by succeeding dynasties and their rulers, Amber is a fortress town of visual awesomeness. Ride up to its imposing hilltop location and explore the maze of passage’s, corridors, pavilions, ornamental gardens and ramparts. On the way back to Jaipuryou will stop to visit the renowned Anokhi Museum of Hand Printing (closed on Mondays) to see its fabulous collection of block printed textiles, printing tools and the colourful traditional dress that is characteristic of Rajasthan. For textile lovers, a trip to Jaipur is incomplete without visiting this famous museum. Textiles are a fundamental presence in Jaipur, and though it may be just art to some and tools to others, the Anokhi Museum reminds us that textiles are not only a livelihood but an evolving living culture breathing through contemporary revivals. Enjoy a light lunch at a local restaurant for which you will directly pay. 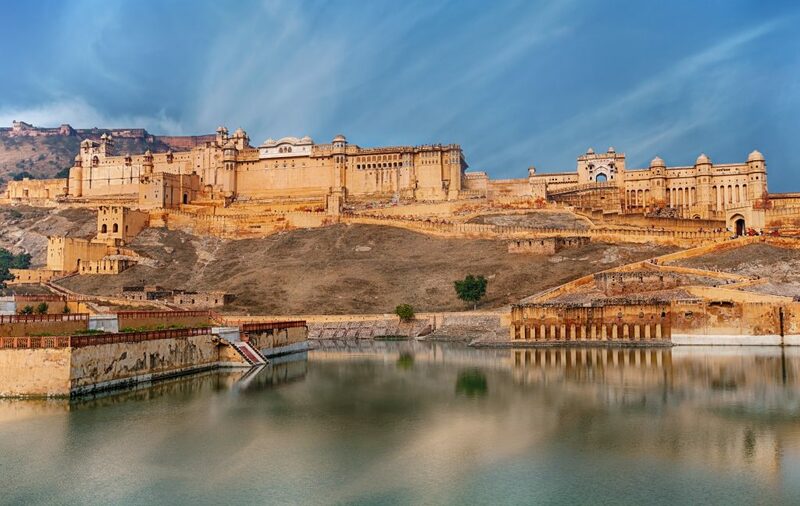 After lunch, you are taken for a half day tour of Jaipur including a visit to the City Palace, home of the royal family, and its excellent private museums that display royal memorabilia, particularly armaments, art, books, costumes and textiles. Stroll to the adjacent Jantar Mantar or Astronomical Observatory built in 1726 by the Maharaja of Jaipur. It is one of five such astronomical wonders built by Sawai Jai Singh that makes accurate predictions even to this day. This morning, you will be transferred to the airport to board your flight SG 2623 departing Jaipur at 0830 hours and arriving Udaipur at 0925 hours. 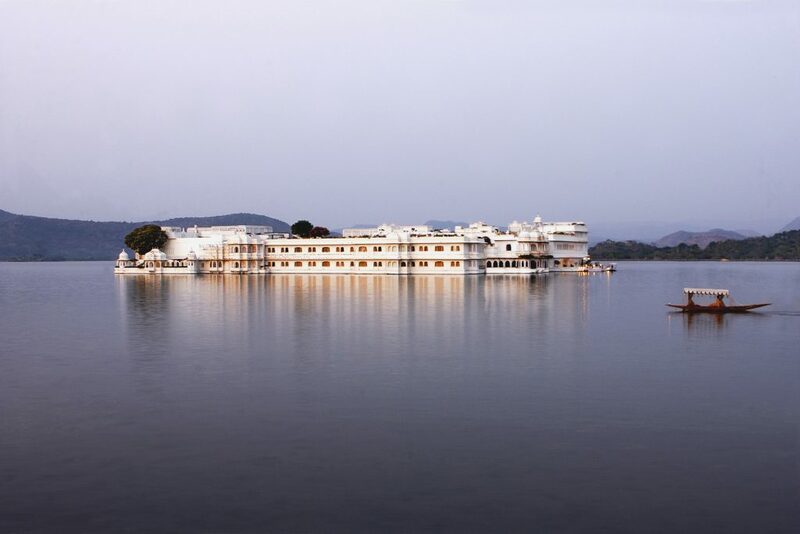 On arrival in Udaipur, we will be met and transferred to your hotel. Considered to be one of India’s most beautiful locales, the medieval town of Udaipur is set around a patchwork of lakes, and ringed by low hills. Rising along Lake Pichola’s eastern shore is the old city, dominated by the magnificent City Palace which presents a dramatic vista at sunrise and sunset. This evening, enjoy a private boat cruise on Lake Pichola, visiting Jagmandir Island and taking in the heady lakeside vistas (subject to water levels). After a relaxed breakfast, we spend the morning exploring the City Palace, a series of interconnected palaces that reveal private apartments, airy gardens on the upper floors, paintings and portraits, and a miniature painting gallery. In another of the nearby palaces, view a splendid private collection of crystal. Our afternoon is at leisure to enjoy the facilities of the hotel or explore the shops. Mumbai (Bombay) is the vibrant and pulsating capital of Maharashtra. For over a century, Mumbai has been a commercial and industrial centre of India with a magnificent harbor, imposing multi-storied buildings, crowded thoroughfares, busy markets, shopping centers and beautiful tourist spots. The British acquired Mumbai from the Portuguese in 1665 and handed it over to the East India Company in 1671 for a handsome annual rent of Sterling Pounds 10 in Gold! Later, these seven islands were joined together by causeways and bridges in 1862. 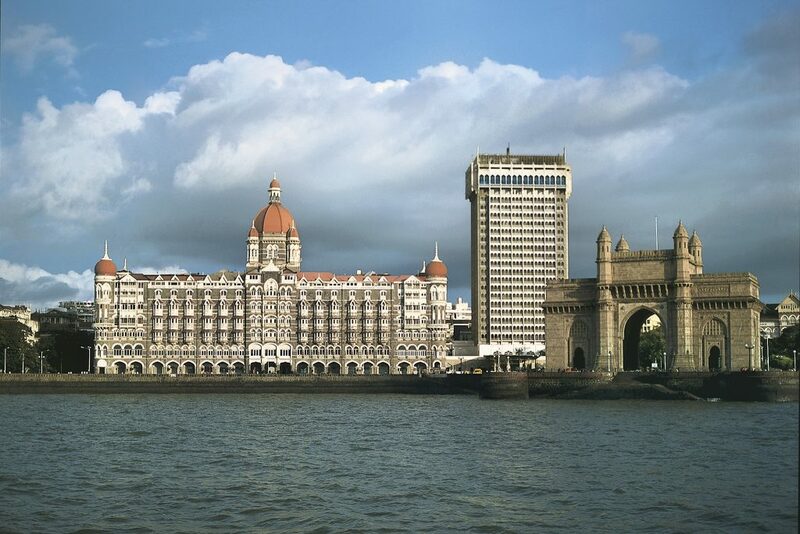 Upon arrival in Mumbai you will be met and transferred to your hotel. Late morning explore Mumbai including a visit to the Prince of Wales Museum, Victoria Terminus and Dhobi ghats. Drive to Churchgate area to see the Dabbawallas. The Dabbawalas are the people who provide a lunch delivery service in Mumbai and have been in this business for over 100 years. At Churchgate, you will witness how the Dabbawalas operate. See their delivery process and coding system and how they work as one team to achieve a common goal. The Prince of Wales Museum – this Mid-Victorian Gothic style building with beautiful gardens surrounding it was built in 1904 & is one of the biggest museums in the country. It has a priceless collection of art, sculpture, china and other antics carefully preserved. Continue with the day’s tour with a visit to the Victoria Terminus, popularly known as VT is the major railway station and is considered the most beautiful edifice in the city. Visit the Mani Bhavan Gandhi Sangrahalaya – a quaint Gujarati-style house in Mumbai where Mahatma Gandhi lived from 1917 to 1934. Finally to Dhobi Ghat, the open air laundry where you will see washer men washing thousands of clothes. End the day’s tour with a visit to the Crawford market, also known as Jyotiba Phule Market and is more than just a wholesale market dealing with food items. You can marvel the grand architecture of this covered market that has a striking colonial imprint to it. The market is nestled between the British fort and the local town. Depicting a fusion of both Flemish and Norman architecture, Crawford market has a bas-relief portraying Indian peasants in wheat field just above the main entrance. This morning you will be transferred to the International terminal for your flight back home.